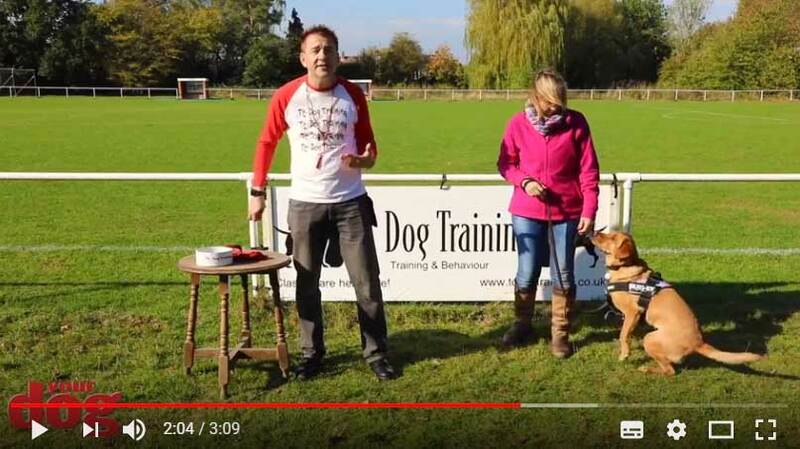 Teach your dog to 'leave' following the advice of dog trainer (and Your Dog's training expert) Tony Cruse. Teach your dog to come away from an old kebab or dead rabbit, for example. Maybe you’ve dropped a box of chocolates and Rover is poised and already licking his lips… The 'Wassis?' will buy you time to pick them up and stop him eating them, thereby saving your dog. The 'Wassis?' can be more effective than the traditional ‘Leave’ command. Often the dog hears the words ‘Leave’ and ignores it, the owner then shouts 'leave' louder and scares the dog into running off with the item and eating it anyway! In contrast, 'Wassis?' is positive and not as shouty or growly as the leave command. It's a positive interrupter and a pleasant distraction. Practice the 'Wassis?' when you don’t need it. So when you do need it, it has every chance of working. It’s a bit like practising an emergency exit BEFORE the fire! Don’t wait for the fire! That’s good training. If you repeat this enough, the word becomes conditioned, meaning the dog won't think twice about looking around even when you don't have a piece of food! Yes, if rehearsed enough, in an emergency, you won't need the food!